Saturday I woke up so early, even though I promised myself a lie in. I was just too excited to get out of the hotel and do some crazy sightseeing around Bristol. 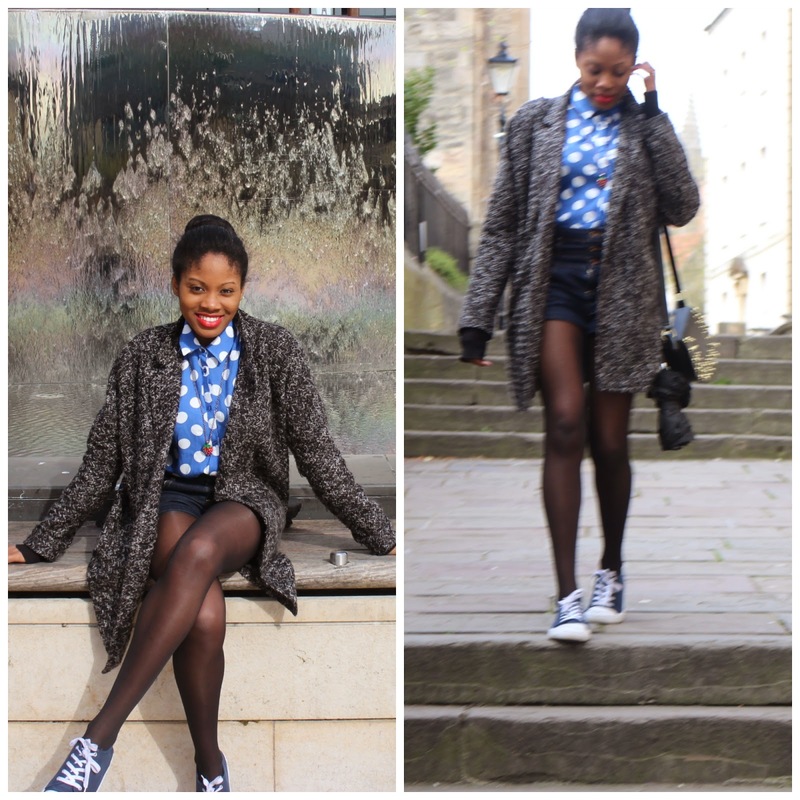 Although it was chilly (hence the big coat), I wore this outfit. I was surprised I was able to put something like this together as I packed in a rush and forgot pretty much the essentials! You may have gathered from previous posts that I am a lover of high waist pants and I love these shorts, which I've had for yonks. 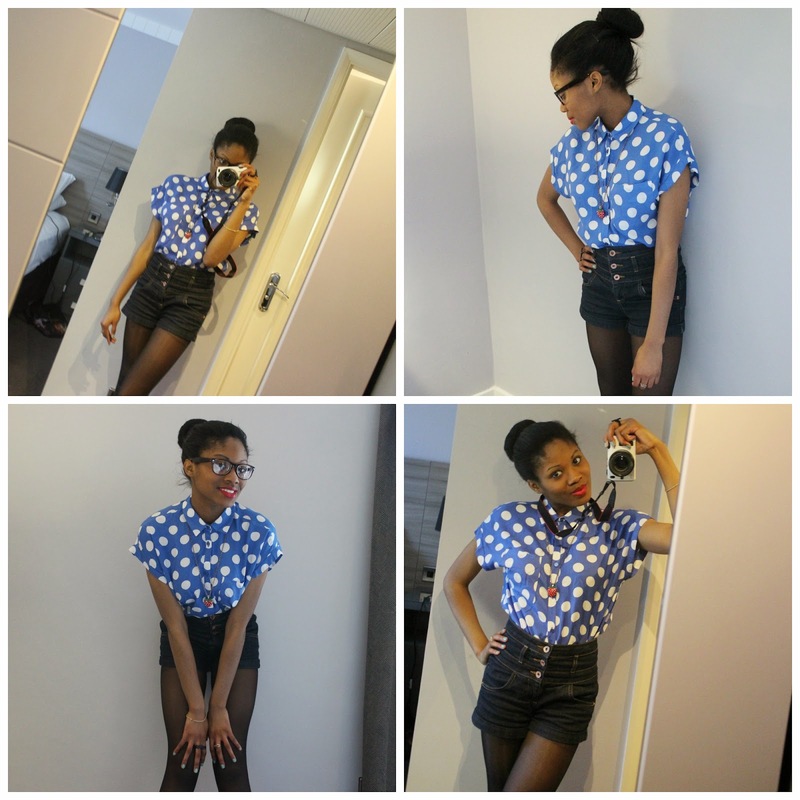 But I love it more with this blue polka dot shirt, I got this recently from New Look and thought it was adorable. I like the wide short sleeves. 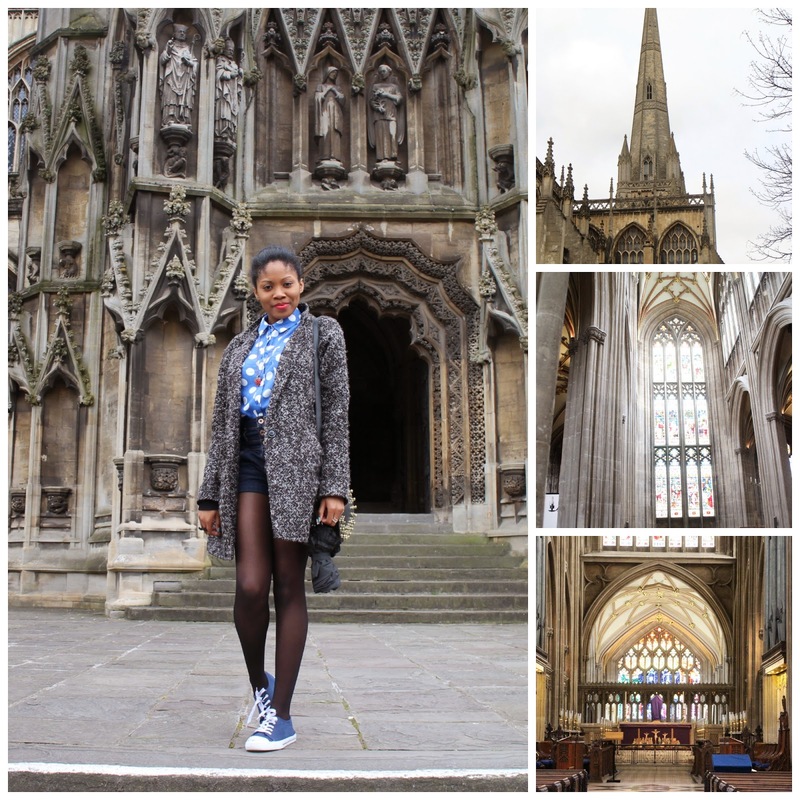 This beautiful cathedral was opposite our hotel, so we decided to pop inside for a look around. It was very impressive, with the amazing high ceilings and grand interior. 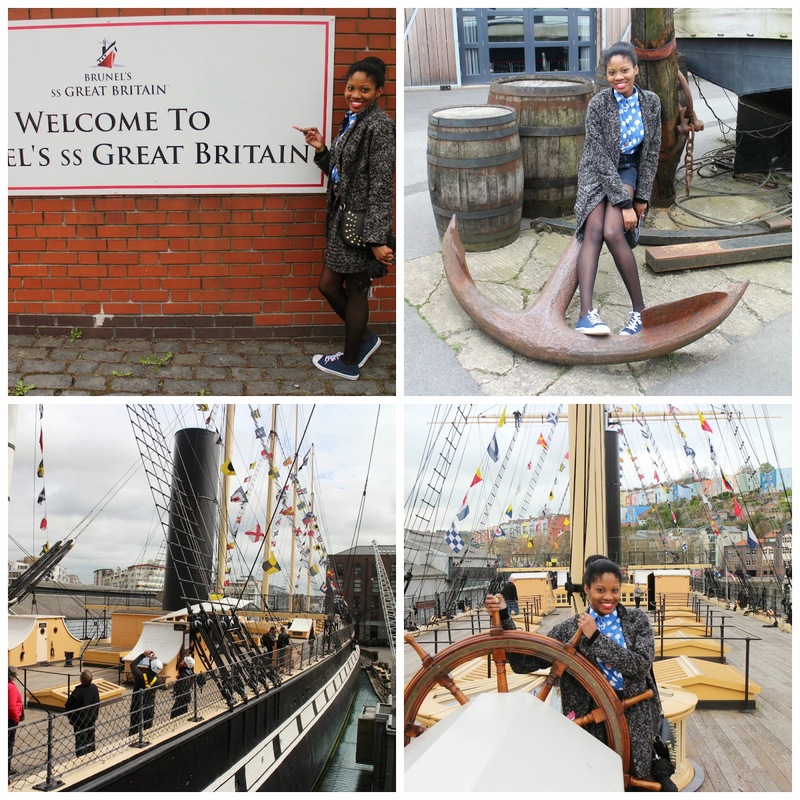 If you ever visit Bristol, I'll say to do the Brunel's ss Great Britain attraction. It's amazing how they've done it. You are able to go under water and see the ship from all angles. You can go inside the ship, see how it all works, read up on the history and even climb the ropes! It was an amazing experience. 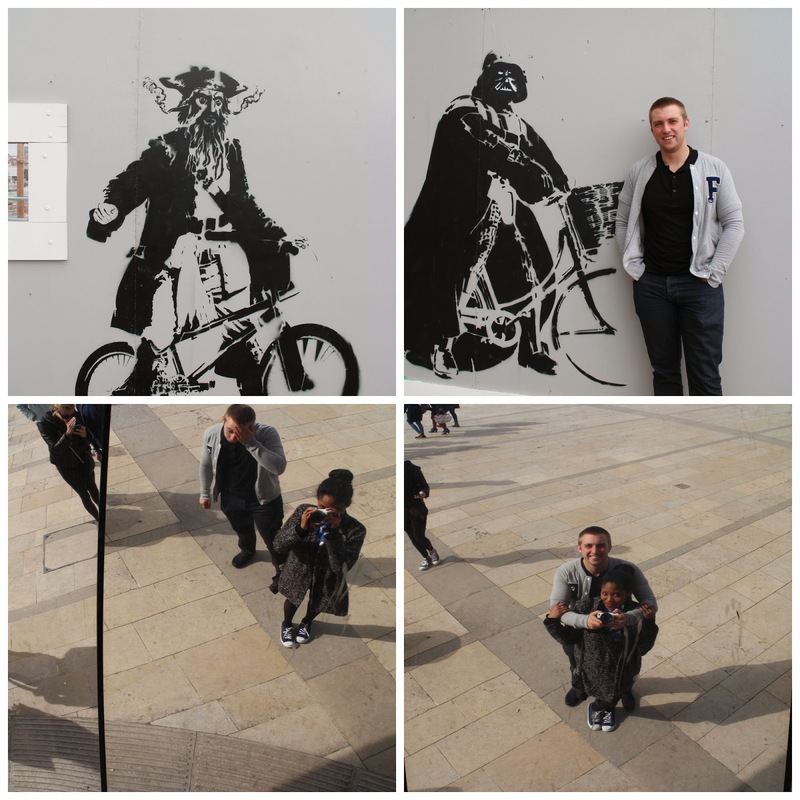 We saw some cool stencil art work... not sure if these are Banksy's work though. I wanted to go on the Banksy walking tour to find all of his work, but unfortunately we did not have time. But we would definitely do it next time. Love your blog, we could follow each other? Can i get your shirt? 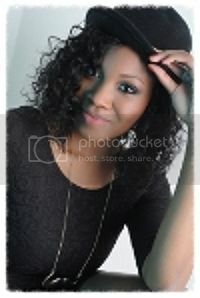 too beautiful!